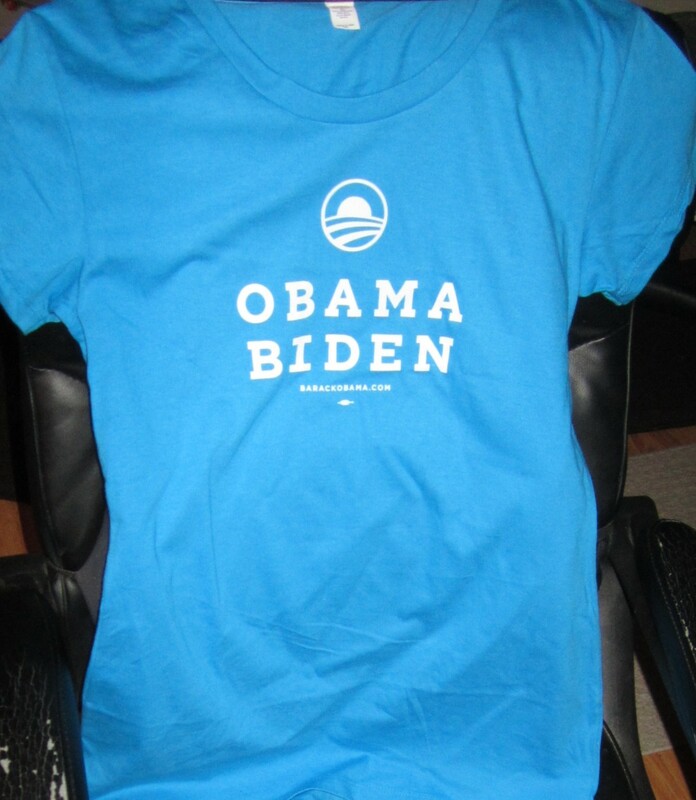 Barack Obama Joe Biden 2012 aqua or teal blue official campaign ladies T-shirt (womens size 2XL). BRAND NEW, NEVER WORN. ONLY ONE AVAILABLE FOR SALE.